Experience the new 4.0 generation of machine operation. 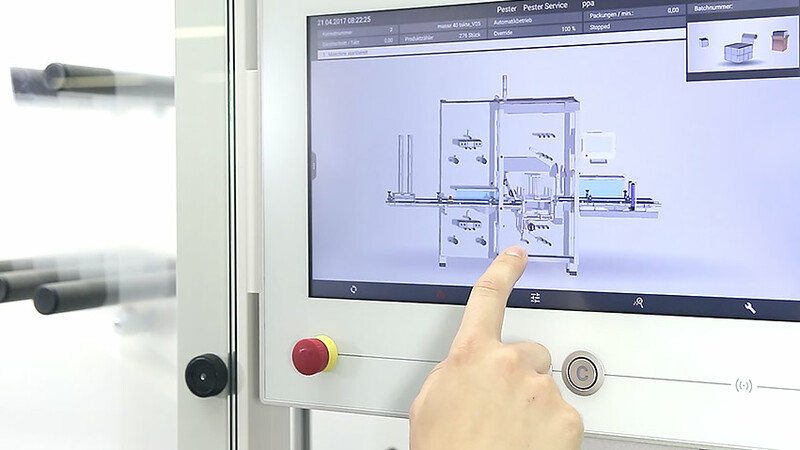 Pester’s new HMI sets standards for intelligent and modern machine communication. The smart touchscreen interface is clear, intuitive and interactive. Quick and simple search for your parameters down to component level via the 3D visualization with real machine models. Pester’s modern 15.6” HMI with tangius 4.0 software is designed with a 16:9 multi touchscreen. Operation is user-controlled on the basis of state-of-the-art Microsoft WPF (Windows Presentation Foundation) technology. The Pester PPM (product – process – machine) module offers your operating personnel intelligent guidance throughout the process and ensures quick and productive changeovers to new products and formats. Experience intuitive navigation on the 3D model of your machine with real machine data down to component level. Due to its clear menu structure, the modern GUI (graphical user interface) helps you to reach your goal in half the time. The unique visual user guidance enables fast analysis and troubleshooting in the event of a fault. Spare parts are instantly identified down to component level. 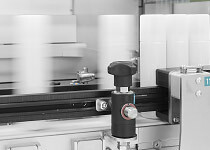 With the transfer of data on mobile terminals, an integrated camera for future applications such as QR code detection, a RFID card reader for operator authentication and the Pester remote service, your machine is well-prepared for digitalization requirements. Benefit from efficient energy management. Our energy management module provides a clear display and the evaluation of your Pester machine’s electrical and pneumatic consumption data. This module is only available in conjunction with the OEE module and requires OPC UA communication.